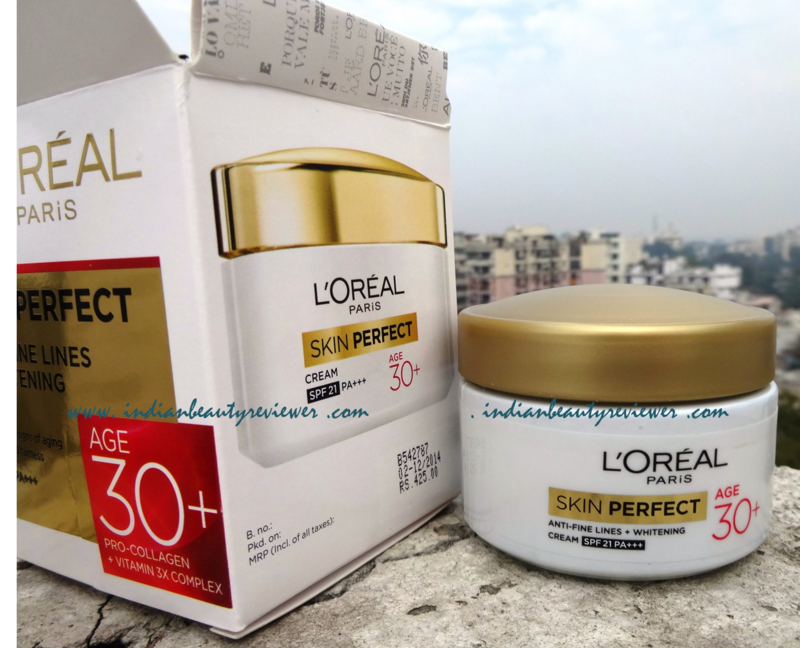 L`Oréal Paris recently introduced its Skin Perfect Skincare Range of Cleansers and Creams targeted at solving problems of age groups 20+, 30+ and 40+. I was sent all the three creams from this range as a very kind gesture from L`Oréal Paris to pick out the one which suited my needs the best.. I fit somewhere in the age group between 20+ and 40+ (I am definately 20 plus but still not 40 plus :) ) and thus went ahead to choose the 30+ cream to nourish my skin. First of all, the 3 creams have advanced skin whitening properties owing to the Vitamin 3X Complex in them which combines 3 Vitamins : Vitamin B3 and Vitamin C known to act on the melanin responsible for dullness and dark spots whereas Vitamin E is known for its anti-oxidant properties. All the 3 creams have SPF 21 PA+++ for daily UV-Ray Protection which helps doesn’t let the sun rays harm he skin and thus prevent ageing and darkening. So both the above two qualities are found in all the 3 creams. The 30+ cream has an added benefit of anti-fine lines. We have been hearing for such a long time now that fine lines are the first signs of skin damage and ageing . Stressful lives, bad food and drink habits and a lack of specialized skin care speed up the ageing process and can add several years to your face without you actually being that age. So first we need to be aware that we have an issue to take care of and then move to the solution. I identified (discovered) my problem and the instant solution was to use a technologically advanced anti-fine lines solution. L`Oréal Paris research has always been at the forefront of the latest scientific innovation breakthroughs to improve skin quality at every age. The age 30+ skin perfect cream contains Pro-Collagen which is the ingredient responsible for its anti-fine lines property. 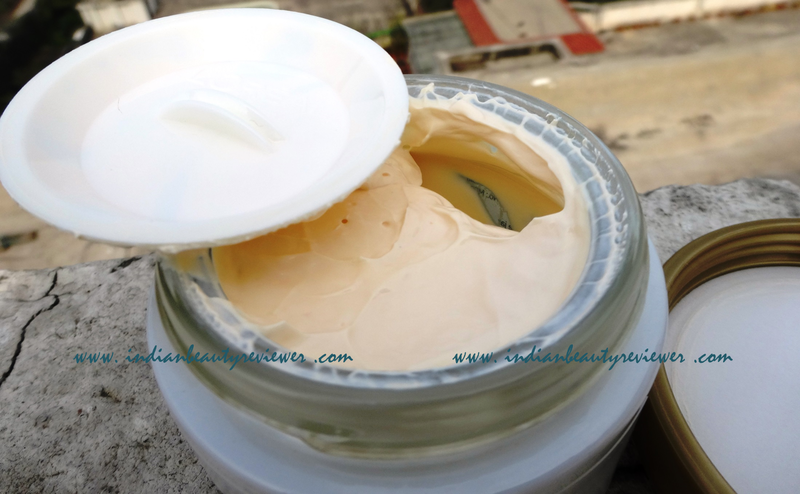 The peach colored cream is housed in a glass jar with a white plastic cover which has the essential details printed on it. The lid is a twistable golden plastic one and on twisting it open there is another white plastic shield with a holding knob over the cream. The cream is heavily scented but the scent is a gorgeous floral one which can be whiffed from a distance too and lasts on the skin for around an hour or so. The cream is a light peach in color and its consistency is like a soufflé, light and fluffy. It spread on the skin really easily and vanishes at the blink of an eye. 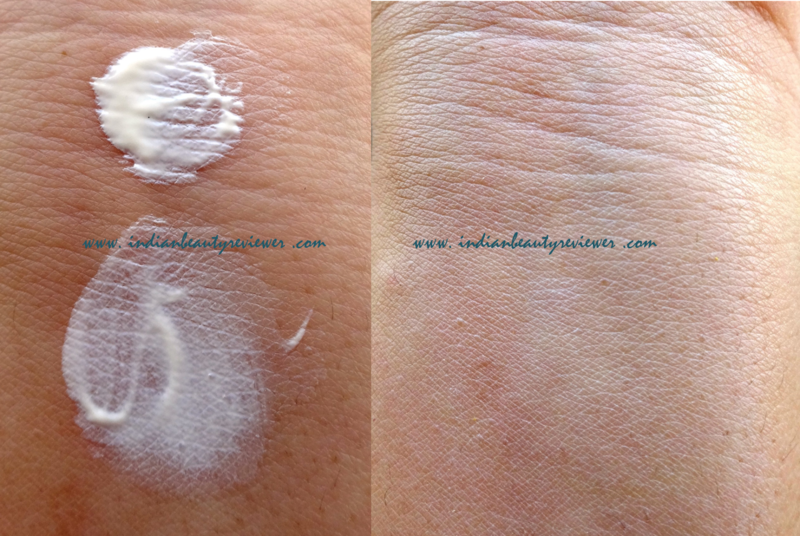 The look afterwards is very matte and I can see a very light white cast left over the skin too. My skin is quite oily and while I was using this cream it got only oily only after about 5 to 6 hours which means the cream has a mattifying effect on the skin too. After having used this cream for about a month now, I most certainly noticed a skin whitening and brightening effect and I also felt that a few of my acne scars faded during this time. My skin texture became very smooth as I was struggling with dry flakes and bumpy skin carried forward from this winter. I used the cream twice, once in the morning and once at bedtime after washing and toning my face. 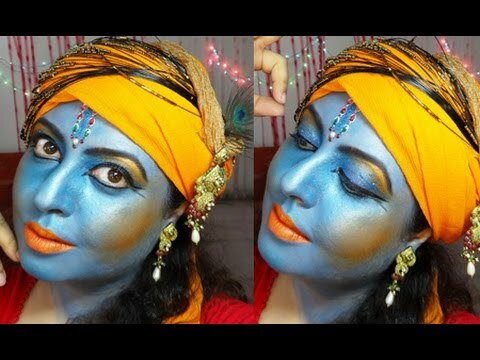 This gave sufficient time to the cream to work on my skin . The fine lines around my mouth, which wern`t many to begin with, sort of plumped up but I can`t tell if here was any marked difference in the before and after although I can definitely say that whatever damage was existing on my skin got cured to quite an extent . Overall, my face brightened and started to glow day by day. This past month, every morning after waking up and looking into the mirror, my skin felt taut and a little bit younger looking (Thanks to the Pro-Collagen). My thoughts were…this cream is definitely working! 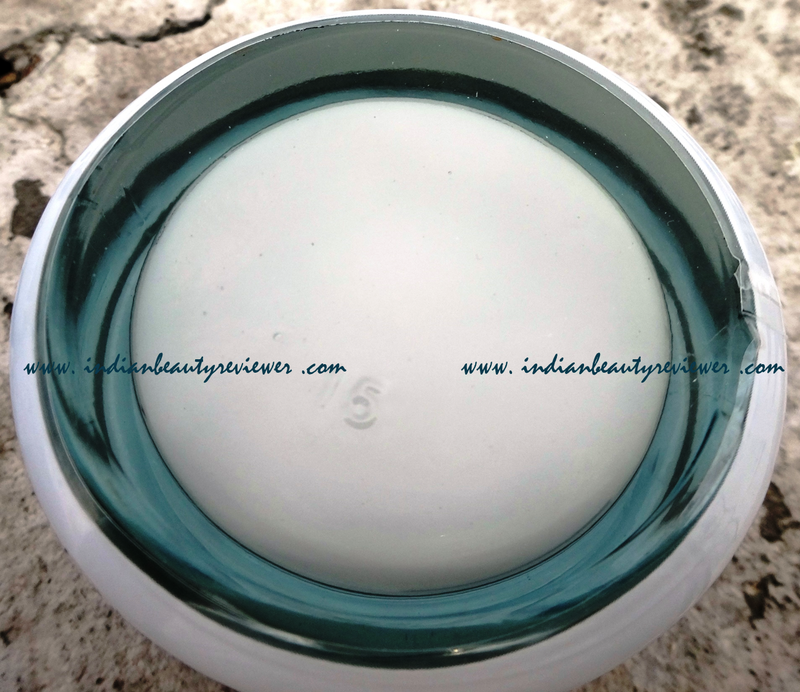 The 18g Cream is priced at Rs 149, 50 g Cream is priced at Rs 425. 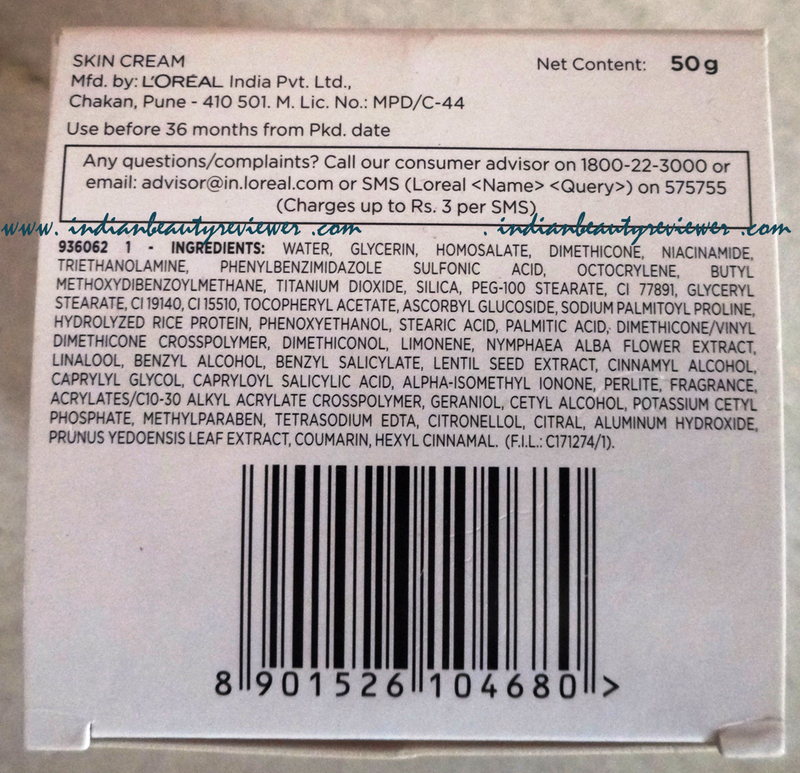 According to the instructions on the pack, the creams should be applied on cleansed face and neck atleast once a day avoiding the eye contour. L`Oréal Paris Counters and popular online stores carrying beauty and healthcare products. 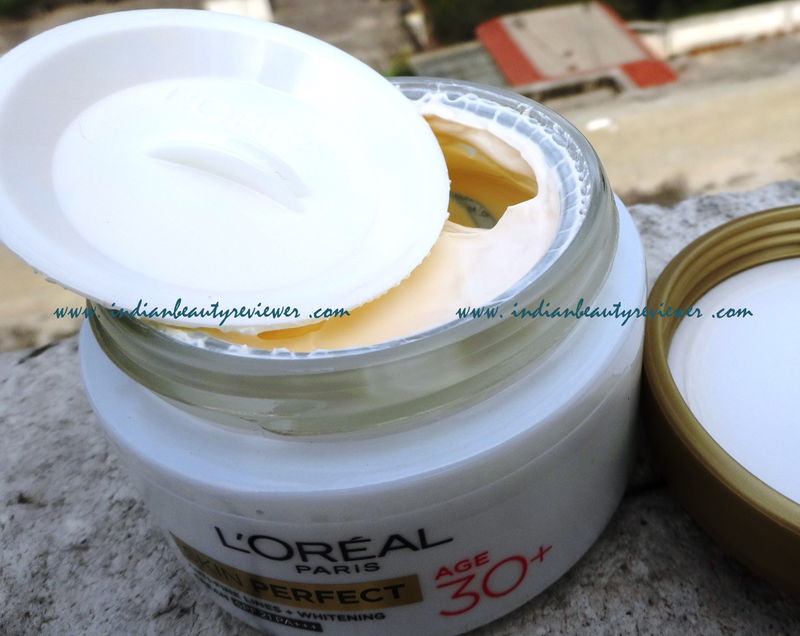 To read about the other products from the L`Oréal Paris Skin Perfect Range Click HERE ! To finish up, Heidi Klum Anti Aging Products I'd quite recently prefer to advise you that you should take additional sun assurance measures at whatever point you're utilizing such a treatment because of the decrease in melanin in your skin. What's Taking place i am new to this, I stumbled upon this I have discovered scr888 It absolutely helpful and it has helped me out loads. I hope to give a contribution & assist different customers like its helped me. Great job. Skin break out creams might be very common site however so are pimples and the sooner you show signs of improvement.